Merry Christmas and thanks to @Seth1025 for the great Secret Santa giftssssss, WOW. An awesome assortment of goodies from down Alabama way. Including Bob Gibson's White Bbq sauce and a great tasting homemade rub. The Pilleteri's rub is from a Birmingham deli called, Mr.P's deli and Dreamland is a rib joint in Tuscaloosa. The beers are from 2 different breweries as well. I'm having one of the Pilsners as Iwrite this post...its really good. Thanks again Seth. Just a great club and I'm proud to be a small part of it. PEACE...Scott. I also got these socks yesterday. No note or packing slip was in the package. Maybe this is part of my Secret Santa present also. They match my Meat Cut grill nicely. HUGE thank you and merry Christmas to @james1787 . Awesome gift ! Can’t be more excited! How did you know that what I was asking for ? Haha! Can’t wait to try this out ! Awesome place this is . Happy holidays James and to all the others here on the WKC!!!!! This is my favorite thing here on WKC. You just don't know what to expect. This year is no different. Let me start of with a BIG THANKS to @bladz for his Holiday Cheer. I think Denis is a mind reader or just needs to play the lottery. Yesterday, yes Sunday, I get a package in the mail. I will use the other on one of my SSPs. The ornament is beautiful. What crafstmenship! My hat's off to the member here who made them, who's name eludes me. So now to the interesting part of this whole story which makes this such a GRATE place to be. A few weeks back I saw something that I wanted to get for my SS and figured I would get one for myself as well. I contact @Bertl , who I give BIG THANKS to as well for making it happen. He told me there was only 1 left and I told him to send it to my SS. So Bertl send me receipt with tracking as well as label copy showing SS name and address and I keep an eye on it. It got into NJ Friday so I'm hoping it will get to him soon. Last night I check and it's in Massachusetts. WTF. It's suppose to head SOUTH not north! 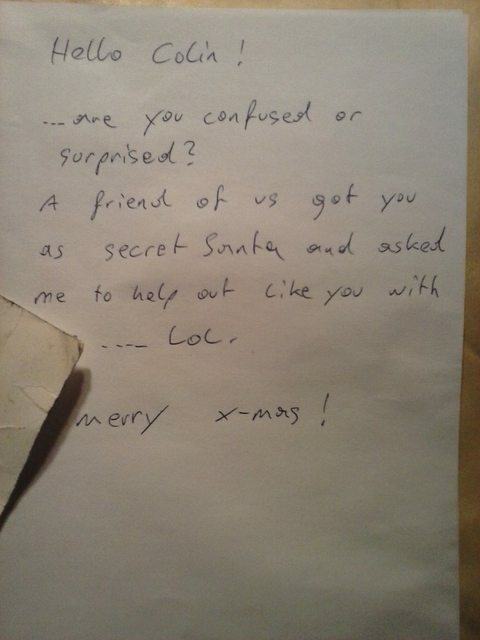 Well I get home today to find a package from Bertl and it appears as he sent my SS gift to me. I didn't understand it as he showed me my SS Name and address on copy. I opened cause I thought I was forwarding it. It took a second to sink in. This whole time I was tracking my SS gift to me. Bertl sent customs copy for my SS gift but the receipt from PO, which had tracking number highlighted, was the receipt from @bladz gift to me. Bertl didn't mean that it just worked out that way. So I went from bummed that I had to forward it to my SS to TOTALLY BLOWN AWAY.
" 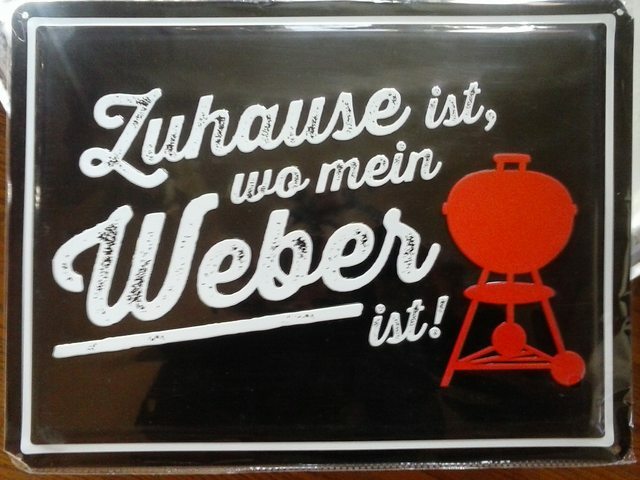 Home is where my Weber is"
I still can't believe how duped I was . Thanks to both of you, even if you didn't know Bertl. Hey I was also going to tell you that thumbscrew 18” cado is one I found this past summer at an antique shop near me. Shop owner said he had it forever. It was sitting on a hill outside all those years, and I never saw it. I traded it to Zav, and then it made its way to you. Congrats! So if it wasn't for him I wouldn't have completed the Cado collection. 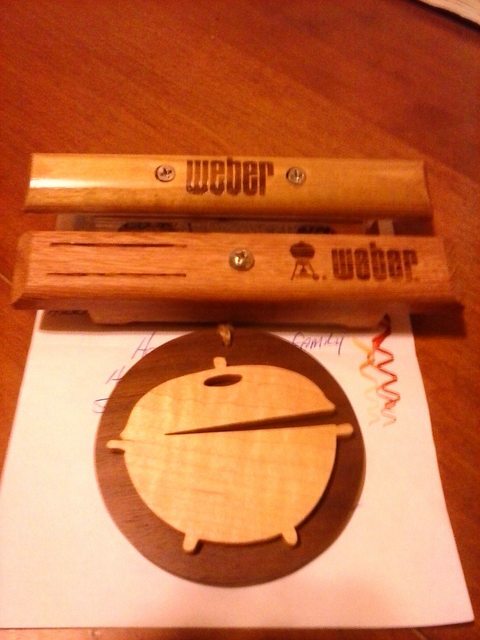 My how the Universe provides in this small Weber world of ours. Happy Holidays to Everyone here on WKC, The place to be! The greatest part of Colin’s gift is that @Bertl gave his sign up so Colin could receive his. Unselfish people are what makes this group so special! Sent my gift out yesterday. My person should get it Friday. This is a great bunch of grillfellas! Man I love watching the gifts we all send out and the reveal of the gifts! Merry Christmas & Happy New Year! I am very glad that you like it, I love my Thermoworks products! May yours assist in making many delicious meals, enjoy! Happy Holidays to all here @ WKC. I received my SS gift of local IL yummies this weekend. Secret Santa @Kneab hit several of my favorite flavors in this package. Happy holidays to you, Kneab! Some very Merry flavors right there, and some nice reading material too! You are very welcome Lawrence. Just got my secret santa gifts from Jeff Rackmo in Missouri. Wow, santa sent a very cool shotgun shell "thermos" and shotgun shell can holder plus a jar of Montana Outlaw chicken run which I'm going to try tonight. Thanx again Jeff.